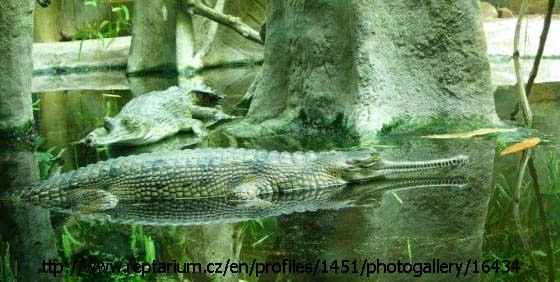 Gavialis gangeticus is a crocodilian species which is commonly known as a gharial. They are among the largest of all crocodilians and according to unconfirmed reports are the longest of all crocodilians. Males usually grow at least 5 m long and often reach 6 m. Unconfirmed reports suggest they might be capable of growing up to 7 m long. Crocodilians are usually pretty scary, especially when they are 6 m long, but these gentle giants are not interested in eating you. They live on a diet consisting entirely of fish. Their jaws have been modified to be thin and narrow with lots of little needle-like teeth. 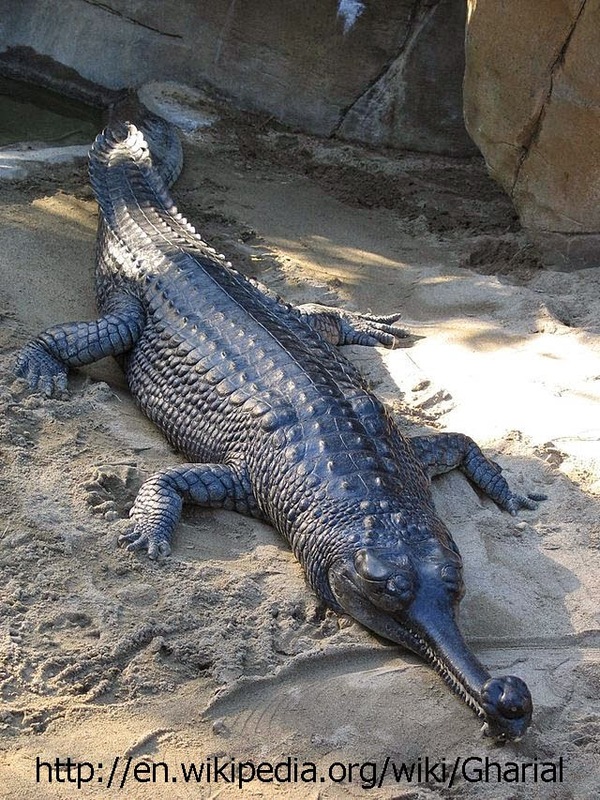 They are incapable of raising their body off the ground while on dry land and can only move around on land by 'belly sliding' with their legs providing propulsion. 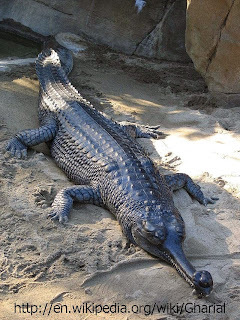 Gharails are one of only two surviving species in the crocodilian family Gavialidae.